Working-class neighborhoods in popular urban areas like Portland, Oregon are organizing against the gentrification that's brought on a new kind of housing crisis. As Marsha Breuer took the microphone in front of the Multnomah County Commission in Portland, Oregon earlier this month, emotions were already running high. When she began to tell the story of the home she has rented for 21 years, her face moved quickly from appreciation to tears born of stress. After her first landlord died, she received a $365 rent hike while all but one of her neighbors were forced out with “no-cause” evictions. “The climate of apathy and disregard of fellow neighbors and renters in this city now is intolerable and totally unacceptable,” she declared, her voice punctuated by the growing cheers of approval from the crowd. The rally was organized by Portland Tenants United, or PTU, a group that — in less than a year of its founding — has galvanized the spirit of resistance that was already forming inside of Portland. As one of the most popular urban centers in the country, Portland has hit critical mass with the highest rent increases in the nation. PTU, founded as a metro-wide tenants union, is now demanding that the county intercede before the next stage of mass rent hikes and eviction notices by taking emergency actions. In 2015, after a campaign from the local non-profit Community Alliance of Tenants, the mayor’s office had declared a “Renter’s State of Emergency” and passed minor legislation extending the notification period for rent increases from 60 to 90 days. This ignores those outside of city limits, which is only a fraction of the neighborhoods affected by Portland’s rental crisis. The rally heard from Portland renters and organizers who told stories of devastating rent increases, sexual assault and lost friends from living on the streets after evictions, and a women who may lose her home once her placement on a liver transplant list precludes her from working. The event comes on the heels of a sudden announcement from the Oakland City Council, which approved a 90-day moratorium on rent increases. This decision, which will bring the costs down to the rate of inflation, came after more than 200 people told stories in the chambers about being forced into homelessness after their community of decades had become unlivable. As the financial crash and subsequent housing disaster of 2008-10 becomes further embedded in the past, it has been easy for many to frame the narrative around housing as one of recovery and triumph. The rate of displacement from foreclosure has slowed, yet much of this housing instability was transferred to a rental market that had to absorb huge numbers of people. As tech and creative industries draw high-paid positions into popular urban areas like Portland, Brooklyn and the Mission District of San Francisco, we are seeing the crisis of housing shifting back onto working-class neighborhoods where affordable housing is being obliterated by hip gentrification. Organizers argue that the situation has been further exacerbated and exploited by a caste of developers, landlords and property management firms that have forced a massive transfer of wealth from tenants as they fight to remain housed. It is out of this situation that a movement of necessity has grown for many who are battling just to stay in their cities, as the costs preclude all but the wealthy. Portland has seen this burst in just the last few years, as the result of a conscious effort towards branding — where the climate, the arts, liberal politics and a new tech resurgence — has made Portland a city romanticized throughout the country. “[Housing groups] are not just simply fighting against the material conditions of low-wages and high rent, it’s in fact fighting a war over the image of Portland itself,” said Kevin Van Meter, who teaches social geography at Portland State University and is an organizer with the Portland Solidarity Network. Started in 2010, the network uses direct action campaigns to confront instances of wage-theft and tenant exploitation. Over the last year the number of tenant requests have dominated, and the need has allowed the Solidarity Network model to expand to a huge swathe of major cities. The new growth of a tenant movement comes as other parallel struggles, such as the peaking Fight for $15, attempt to expand and re-examine their focus. Rhetorically, rental and housing costs have been one of the driving arguments in favor of a $15 per hour minimum wage in Portland and around the country. Oregon recently passed a more moderate wage bill, one that was backed by many unions and will graduate the city to $15 per hour by 2022. This leaves many of the smaller urban areas at $13.50, and rural Oregon at $12.50, yet both of those include regions that share Portland’s rental prices. In Northeast Portland, where rents have jumped the most rapidly, the historically black neighborhoods have become almost uniformly whitewashed as lower income residents are pushed out to east of the city. The Mission District in San Francisco is now seeing a battle with tech workers in Silicon Valley, as well as Airbnb finding a new way to unseat sustained housing developments and turn them into exaggerated profit centers. The crisis extends to the unhoused population of each city as well, which has led to an even more controversial policy from the city and transportation officials. In Portland, the growing number of houseless encampments began to see “sweeps” from the Oregon Department of Transportation, leading to a growing movement out of environmental and housing justice groups to defend the camps from authorities. Rent control, long on the chopping block for neoliberal economists, is being resurrected as a tried model of sustainability that can buffer explosive rental situations. This was foundational to the quickly growing Trotskyist political party Socialist Alternative and its campaign with Kshama Sawant, who used an explicit anti-capitalist platform targeted at working-class neighborhoods in Seattle that were finding their city unaffordable. The $15 per hour minimum wage was first on the agenda, and with that achievement much of the energy has moved in the direction of rent control. This is syncing up the low-wage worker battles that were expanding out from the SEIU’s original campaign in New York City, with rent control as the next logical step towards stabilizing working-class areas of metropolitan centers. Rent control still exists in areas of New York and Los Angeles, and implementation could provide a breather for a city that is being completely reshaped by rent gouging. In states like Oregon, rent control is illegal statewide, which means taking the fight far beyond the Portland city limits, as well as looking into alternative tools for rent stabilization. The flip side to the rising rents is no-cause eviction — a policy whereby landlords can order a tenant to vacate without providing a verifiable reason. This is seen often in lower income housing with few long-term leases, where large swathes of renters can be evicted suddenly so that they can remodel the unit and double the rents. The antidote to this is often called “just cause evictions,” meaning property management companies and landlords are restricted to issuing evictions only for the violation of certain policies. This notion is used by groups in combination with rent control campaigns, noting that rent control matters little if you can be evicted at any time, and just-cause evictions provide no protections if your rent can be tripled suddenly. In East Boston, tenant organizations like the long-standing Boston City Life/Vida Urbana are using “home-rule” petitions to city council to institute a just-cause eviction policy. Landlords have not bent to this demand without a fight, and business organizations like the Small Properties Owners Association are labeling it as just another attempt at rent control. Both rent control and just-cause eviction are noted as partial methods, or stepping stone goals, that are only part of the potential outcome of a tenants movement. It is only in periods of extreme turmoil that organizing projects with the potential to fundamentally reshape the nature of tenancy actually emerge. And that is exactly what’s happening in Brooklyn with the Crown Heights Tenants Union, or CHTU, and its attempt to use collective bargaining power for its tenants in the same way that labor unions do in a workplace. Although often mentioned as a radical concept, this practice actually has a long history in European housing policy and even in many parts of the United States. Boston City Life/Vida Urbana collectively bargained for two buildings with 435 units into what was labeled “affordability agreements.” This is the model that mobilized public housing tenant union projects like Buffalo Tenants United, which took on two public housing complexes in the fifth poorest city in America. There, as in most instances, it did not achieve its long-term goals for active bargaining, and most “tenant union” projects become member-driven renter advocacy non-profits instead of bargaining units. CHTU has yet to meet these goals themselves, but using a democratic-union structure it is doing the hard work of organizing building-to-building, unit-to-unit. What gives the unionization project its power is the same thing that gives workers and labor unions power in the workplace: the ability to strike. Rent strikes are the tool that organizers argue can shift the balance of power, whereby groups of unionized tenants engage in rent strikes collectively so that they cannot be evicted as a group. This harkens back to the Great Depression and the tenements of New York City, where Lower East Side renters often went on rent strike to force repairs or much needed upgrades. Martin Luther King Jr. used the rent strike to confront oppressive landlords in Chicago in the 1960s, and with the recent five-month rent strike in the Midtown building in San Francisco, the idea of using direct action as the crux of the tenant justice movement is building steam. 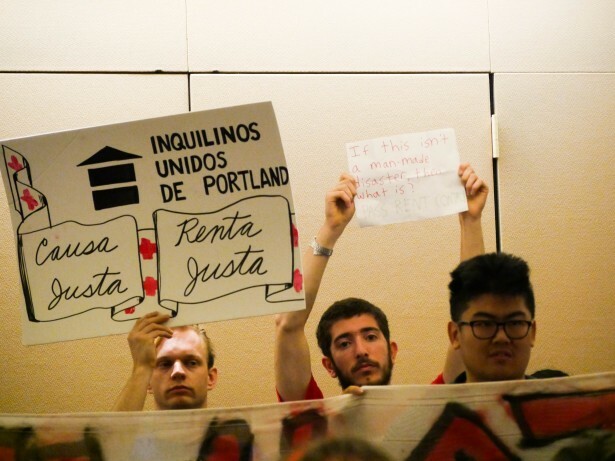 When Portland Tenants United was first formed by a group of renters and activists out of last year’s Portland Renters Assembly, it was the goals of rent stabilization, ending no-cause eviction and creating a tenants union that mobilized them. Rent strike was discussed as an available tool from the start. In January they led a rally and march with other housing and social justice organizations calling for housing for all. The goals of collective action and solidarity have been key to even their early campaigns, starting by halting the pending eviction of a 79-year-old tenant in Portland who was confronted with a sudden 90-day notice in January. 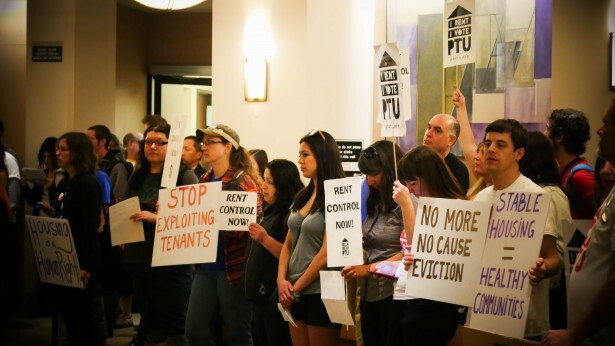 By drawing on a huge pool of disaffected renters to rally, PTU pushed the property management company to reverse the eviction order and negotiate for the tenant to stay. This has worked with subsequent evictions over the past several months, where PTU’s calls for collective action have had enough pressure to sway landlord decisions simply by a call for community support. Their growth, along with public campaigns from organizations like the Portland Solidarity Network, created a climate that state politicians could not ignore. A renter protection bill was introduced in the state legislature, which was eventually weakened through negotiations. This came, in part, as a result of influence by the landlord lobbying group Oregon Rental Housing Association, which even sent newsletters to its membership noting that it was able to “defeat” restrictions on no-cause evictions, tenant moving allowances, and penalties on landlords for violations. The weakened bill was passed alongside the watered-down minimum wage bill, which was hailed by progressive organizations as the most significant in the nation. Organizers with $15Now Oregon and PTU challenged this portrayal, dropping a “Renter S.O.S.” banner during the legislative session and occupying Gov. Kate Brown’s office. Now the group is calling for a rent freeze and a moratorium on no-cause evictions, a demand that is intended to halt displacement until long-term solutions can be implemented. Inside of the County Commission, renters filled the speaking docket, continuing their stories and demands for action. The anger in the room was palatable as the room erupted into chants, overwhelming the commissioners as protesters took over the space in a show of collective strength. The following week, PTU organizers met with Multnomah County Chair Deborah Kafoury to further discuss the demands. In a statement put out by PTU, the group said that while the commission was sympathetic, the commissioners turned their attention to the 2017 state legislative session instead of emergency intervention. The call has been become a populist rallying point by some, with Portland mayoral candidate Sarah Iannarone actually taking up the call to institute an emergency rent freeze in the model suggested by PTU. The growth of these organizations has seemed to match the rent increases as well, with last month’s projections indicating that this is not a temporary trend that the market will reverse on its own. Beyond any specific solution, the movement of tenants identifying as tenants is one that will reshape the battle over who owns America’s cities and how neighborhoods will progress decade after decade. 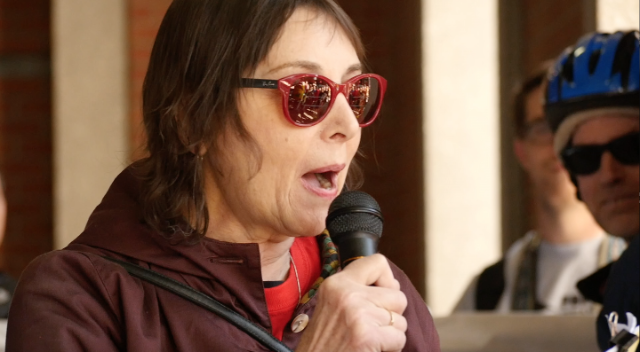 For Marsha Breuer, who passionately addressed the Multnomah County Commission earlier this month, the results of this organizing cannot come soon enough. After rallying out front she joined dozens of others who spoke to the county commissioners, explaining that she has been forced to work six days a week at two jobs into her late 60s just to afford her climbing rent. Shane Burley is a writer and filmmaker based in Portland, Oregon. He is the author of "Fascism Today: What It Is and How to End It" (AK Press). His work as appeared in places such as Jacobin, AlterNet, In These Times, Political Research Associates, Waging Nonviolence, Labor Notes, ThinkProgress, ROAR Magazine and Upping the Anti. Follow him on Twitter: @shane_burley1. This whole movement is nothing short of an attempt at organized theft. They want to live someplace they simply can not afford based on what they earn and their spending/saving priorities. How on earth should that translate into landlords being forced to rent their properties well below market rate??? If any one of the tenants was selling a car would they take even $1,000 less than the going rate because someone who wanted it but said they couldn’t afford it showed up? That would be a HECK NO! A home is not a luxury like a car. It is a fundamental need to keep a roof over one’s head. At least at the dealership, one can choose to buy or not. When ALL the rents skyrocket at once, there are no choices except a tent. Which is why everyone is now complaining about the booming homeless population. Of course housing is a luxury if you don’t have a place to live. I am not excusing unethical providers that impose large sudden increases- thats unethical and immoral, but Providers are not responsible to house the world. – I know many on the left only use words like- compassion and caring while others of us like to use words like personal responsibility and self reliance. Seriously? We have to get over this victim mentality, and this far so far left (so far they are going to fall off the earth) media. Me and the wife are young. We own an owner occupied duplex; meaning we own both and rent out one. When we bought we had great tenants in place, 8years. We raised their rent after the first year, why? bc i was greedy? no because property values were going nuts, and what comes after that, tax increases. They whined and treated us terribly (like flat out ignored our business and neighborly engagements, yelled at us, told us we “sucked;” it was crazy). Then they came back asking to stay, why bc they couldn’t find anything cheaper. So what did I do, recognized how frustrated they felt and let them stay, man we are brutal heartless people. Oh by the way, I gave them 3x’s the normal notice of increase so that they could have an opportunity to plan and adjust their lives. Now guess where my bottom line is, the same as when I bought three years ago bc my taxes and insurance have gone up. We are not greedy, we do math; I would encourage renters to do the same before throwing stones. Property rights are the foundation of this country and take precedence over anything these renters might try to get enacted. PTU is an ineffective, antagonizing group in no way savvy or rational enough to lead rent reforms in Oregon. My problem with PTU, and why they are and will continue to fail on anything practical to address housing, is their downright immature & nasty treatment of those providing housing & lack of willingness to form effective & positive working relationships with the stakeholders (such as government & business leaders) who they need for help. Posting nasty memes on their Facebook attacking all landlords as greedy. Attacking local civic leaders who are grappling with how to fix this issue. Screaming & disrupting at meetings. 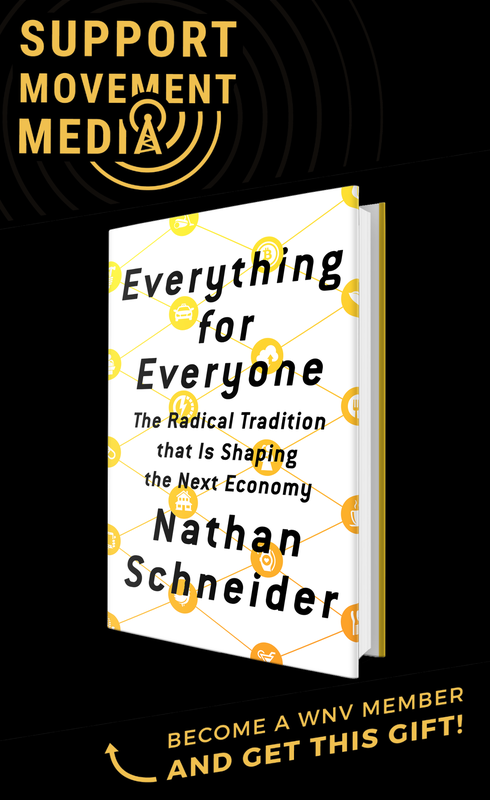 Refusing to accept larger realities of basic economics 101 – supply & demand, or act in a rational manner and be fair and honest on the downsides & risks of things like rent control. Or legal constraints in local government (just because PTU says something is a housing disaster and the city needs to do x,y,z doesn’t legally make it so the city can do X,y,z). It’s like dealing with a bunch of screaming temper tantrum teenagers. Which is a pity. Because affordable housing is important and a big need (in Portland and nationally). We need some advocates however who can do more than just drum up press, show up and protest, and who can avoid completely alienating themselves from the people who they need on their side in order to get anything done quickly, fairly, effectively. We need people who can work with property owners, governments, non-profits, developers and come to the table prepared and ready with viable solutions & a plan (not just one shot rent control now! demands). PTU prefers the “us against them” hostile protest approach that ultimately creates nothing but a fringe group and devolves (see the Occupied Movement). And being both a renter & a landlord (and someone who has worked in urban planning, development and affordable housing for two decades) I wanted to help them, but after what I continue to see from them, no flipping way. If you think PTU is too radical, wait till you meet the rest of the housing movement. Naw, I don’t think they are “too radical” (whatever the heck that means). I think PTU are pretty standard (and very ineffective) in their methods. They are not very innovative, comprehensive or radical in the least. And that’s their downfall – thinking being loud, antagonistic, alienating protesters will get anything done. It won’t. Except to destroy their own group. But, time will tell I suppose. Let’s revisit this in 6 months and a year to see. Well, let’s see, they have stopped several evictions since their founding, were instrumental in getting the most recent renter protection bill passed, almost all metro-area officials running for office have shifted far to the left on housing issues, and it looks like this is only the tip of the iceburg. Whatever metrics you are using to say that they are “ineffective” are point blank wrong. I have been covering housing issues extensively for years, and it is the loud, angry protesters that always get things done. That is historically true in literally every social movement. If you can think of one social struggle that won without this, feel free to let us know. 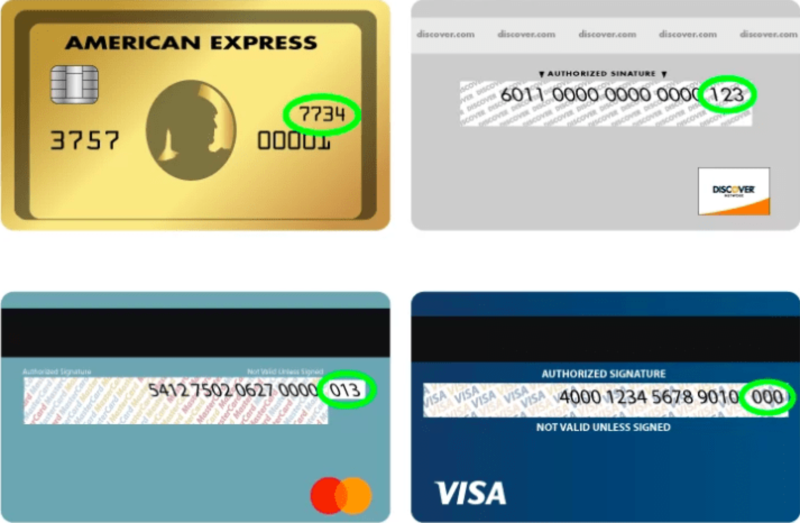 Purely to follow up on the up-date of this issue on your web-site and wish to let you know just how much I apcptriaeed the time you took to generate this useful post. Inside the post, you spoke on how to truly handle this thing with all ease. It would be my pleasure to gather some more tips from your web page and come as much as offer other individuals what I have benefited from you. Many thanks for your usual excellent effort. 110% agree. I was a renter my entire life until almost 40. In 2012 I bought a duplex. I still live in it and rent out the other unit. I’m in North Portland very close to the Mississippi district, where similar units in a shiny new building owned by a handful of “accredited investors” would rent for double what I charge my tenants. The sad irony of these tenant groups advocating for rent control is that they will most hurt those who are providing the most affordable housing. It’s the smaller landlords like me–who own one to three units, who develop relationships with their tenants over time, and who are more interested in providing safe, clean, affordable housing than with maximizing their “internal rate of return”–who will be most brutally destroyed by rent control. When my property taxes increase from $2500 to $3200 in 3 years, I can’t afford to lower the rent that my tenants pay. Restricting the rent I can charge will force me to skimp on repairs and upgrades and maintenance, because where else will the money come from? The larger new apartment buildings have bigger money backing them–life insurance policies and hedge funds–and can afford to be cashflow negative because they are counting on appreciation to bring their investors their 7% guaranteed return after 5-7 years. So what happens? Mom and pop landlords get forced out of business. They’re like the local coffee shop being forced to shut down because Starbucks set up shop across the street. Starbucks can afford to hold out longer, so they do. Then what happens? Bigger money gets poured into the remaining apartment buildings–Wall Street and the hedge funds–and they hold on to those apartment buildings without making repairs until they decide to convert the buildings to condos. This is what happens in San Francisco. There is no way to cashflow rent controlled apartments, so the rent controlled apartments go away, but the mom and pop landlords are already out of business and there’s more competition than ever among tenants for the decreasing number of available rental units. Renters get forced further out I-84 or up/down I-5, and the only people in close-in apartments are high end renters or condo-owners. The cost to buy a house or condo skyrockets, and renters become further disenfranchised since now there’s no way they can afford a house in this rent-controlled Portland, and they will eventually move to Idaho or Montana where, maybe, they will be able to buy a house. Maybe even a duplex, so they can get some help from the tenants with the mortgage. That is, until rent control comes to Idaho. I’ve lived in NYC and the Bay Area and Southern California and I’ve seen this story play out again and again. If we don’t want to be San Francisco and New York, we can’t make the same mistakes that San Francisco and New York have made. Rent control seems like a great idea from a tenant’s point of view, until fast forward 10 years when there’s nothing affordable to rent within an hour drive of the city center (everything’s been converted to condos, or the tenants of 20 years with rent control in place sure as hell ain’t movin’) and the only house that a first time buyer can afford (unless they work for Intel) definitely is not in Portland anymore. Hey piece ! I learned a lot from the info – Does anyone know where my business can access a template a form form to complete ?